Mormon Tea (Ephedra) is a branched broom-like shrub growing up to 4 feet tall, with slender, jointed stems. The leaves are reduced to scales and grow in opposite pairs or whorls of three and are fused for half their length. Male and female flowers, blooming in March and April, are borne on separate plants in cone like structures. They are followed by small brown to black seeds. The Indians prepared Ephedra as a tea for stomach and bowel disorders, colds, fever, and headache. The dried and powdered twigs were used in poultices for burns and ointments for sores. One tribe made a concoction of the entire plant and drank it to help stop bleeding. Early Mormon settlers, who abstained from regular tea and coffee, drank the beverage made from this plant. A handful of green or dry stems and leaves were placed in boiling water for each cup of tea desired. It was removed from the fire and allowed to steep for twenty minutes or more. To bring out the full flavor, a spoon of sugar or some honey was added depending on individual taste. Other white settlers used a very strong tea of the plant for the treatment of syphilis and other venereal disease, and as a tonic. Although not as potent as the commercial relatives in China, the southwestern species contains enough ephedrine-related alkaloid ingredients to make it functional. The drug ephedrine is a stimulant to the sympathetic nerves and has an effect on the body similar to adrenaline. It has a pronounced diuretic and decongestant effect and was used wherever urinary tract problems occurred. The dark brown resinous scales contain at least a third tannin and made an excellent external hemostatic. The small, hard, brown seeds were ground and used as a bitter meal or added to bread dough to flavor it. People cultivating their own ephedra should be aware that it is should not be used by those with known hypersensitivity to sympathomimetics, women who are pregnant or lactating, children less than 18 years of age, and people with narrow-angle glaucoma, seizure disorders, hyperthyroidism, diabetes mellitus, prostatic hypertrophy, arrhythmias, heart block, hypertension, psychosis, tachycardia, and angina pectoris. Ephedra can cause palpitations, tachycardia, hypertension, arrhythmias, stroke, heart attacks, heart failure, insomnia, anxiety, hallucinations, tremors, seizures, nausea, constipation, diarrhea, dysuria, urinary retention, dermatitis, dyspnea, contractions of the uterus. Dried ephedra stems turned into powder (with ephedrine concentration of 1 percent) are used in a daily dosage of 3 grams on average. In this case the plant is taken in form of tea. The average single dose of ephedrine for adults is 15–30 mg, with a maximum allowed daily dose of 300 mg per day. When consumed as a tea, 1 teaspoon (5 ml) of ephedra is boiled with 1 cup (250 ml) water for 15–20 minutes, with up to 2 cups (500 ml) of the tea allowed per day. In a boiling pot of water, place a small handful of green or brown Ephedra twigs for each cup desired. 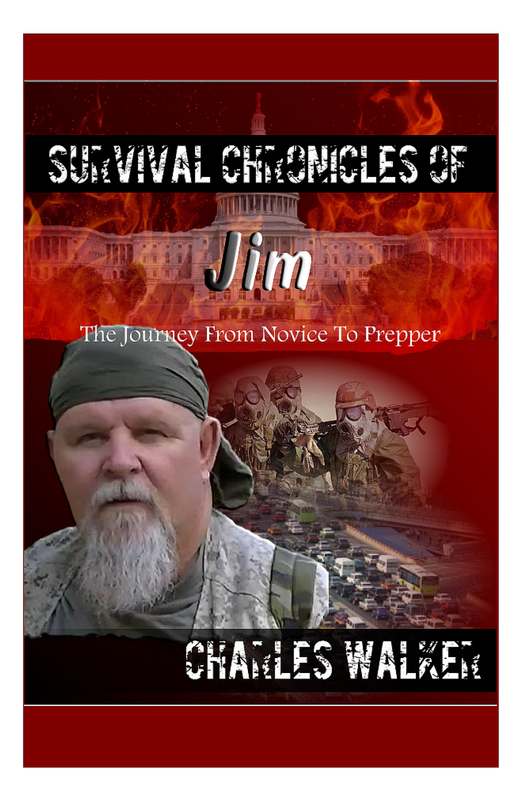 Cover and steep 20 minutes. Strain and drink. There are many species of Ephedras in the Desert Southwest, but all make a tasty, energizing tea. Southwestern Indians and European desert travelers have long brewed Mormon tea or chewed the twigs to quench thirst and boost energy. Mormon tea is considered a general tonic for stomach ailments and kidney disorders. Note: Those who are sensitive to caffeine should probably avoid this tea. The drug ephedrine is obtained from a Chinese species of Ephedra. Non-prescription remedies which include ephedrine are applied in a dosage of 20 mg on average, with an interval of four hours. 150 mg is a maximal recommended dose for adults. Pseudo ephedrine is applied in a dose of 60 mg with an interval of 6 hours. The tannin's in Mormon tea have an astringent effect to reduce body secretions such as mucus. There isn't enough information to know how Mormon tea might work for uses such as kidney problems and sexually transmitted diseases. Mormon Tea is used for asthma, headaches, fevers, colds, allergies, bladder and kidney problems, and bursitis. Mormon Tea stimulates the nervous system and acts directly on the muscle cells. Blood vessels are affected, circulation is improved, and the heartbeat becomes slower and stronger. American Desert Herb is considered a bronchial dilator and decongestant, and contains vitamin B-12, cobalt, strontium, nickel and copper. 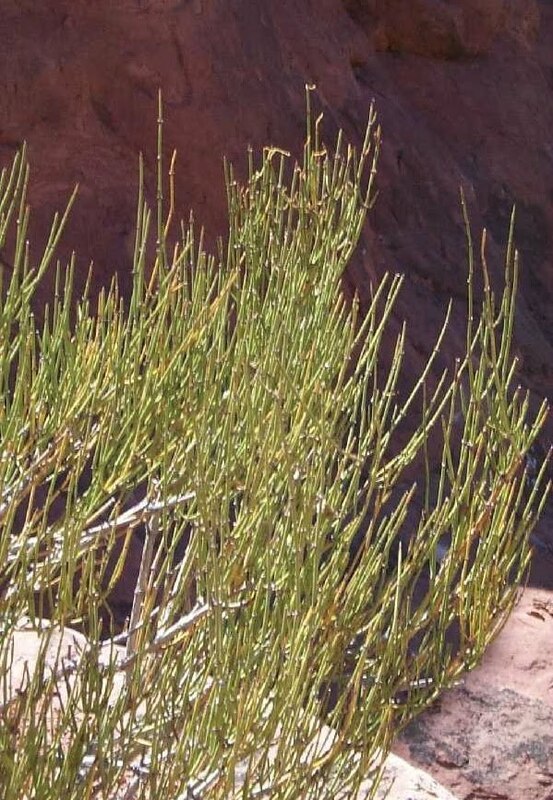 Mormon Tea is a milder member of the ephedra family than the Chinese variety, but it used in a similar fashion, but unlike E. sinica, Mormon Tea does not contain the high content of ephedrine, an alkaloid that is very effective medically, but has the side effects of raising blood pressure and heart rate. Mormon Tea, however, does contain nor-pseudoephedrine, which gives it similar asthma and respiratory support, supposedly without the side effects. Mormon Tea has been used to relieve respiratory system ailments. It is said to act quickly to reduce swellings of the mucous membranes and dilate the bronchial vessels, reducing excess mucus and phlegm. While it does not cure asthma, it is believed to be effective in treating its symptoms, as well as the symptoms of hay fever and other allergic complaints. These decongestant properties are also said to relieve symptoms of colds, coughs, lung constriction and congestion. The milder American ephedra in Mormon Tea is said to be an excellent diuretic that helps to eliminate fluids from the body and relieve excess water weight. Mormon Tea is a central nervous system stimulant, and some claim its actions are similar to those of adrenaline. Although the alkaloid content is reduced in American species, both ephedrine and pseudoephedrine elevate heart rate and also blood pressure by constricting the blood vessels (vasoconstrictor). In turn, this action is said to force more blood to the extremities (head, arms, legs, feet), stimulating the brain and nerve centers and reducing fatigue and weariness. This feature is also believed to help to elevate low moods and ease depression. Recent research into the effects of Mormon Tea claim that it has demonstrated antiviral properties, most notably in the treatment of influenza, and because it is considered a diaphoretic, the herb is also thought to reduce fever by increasing perspiration. Mormon Tea should not be used by those under eighteen years of age. If symptoms of nervousness, tremor, insomnia, loss of appetite or nausea occur, discontinue or reduce the use of this product. Because Mormon Tea is an astringent, it may cause constipation. It is always advisable to consult a physician before using Mormon Tea for any specific applications. It's definitely great to know more about Mormon tea. I should consider these certain factors before taking that herbal tea. im going to start eating this stuff while hunting. I see it everywhere in southern Utah. it would be a welcomed kick after hiking all day. This is all very interesting. Especially after reading that children under the age of 18 should not drink Mormon Tea (Brigham Tea). I and my 9 brothers and sisters were raised on Brigam Tea. There was always a pan of it brewing on the back of the stove. We all Love it! Put a teaspoon of honey in a cup of the tea and add a bit of canned milk. Delicious! Information for all products helps a lot in buying!!! matchasensation has become so popular in the last few years finding its way into mainstream foods and drinks although many people have no idea what they are really putting into their bodies and how good it is for them!